This has been one great thread. A perfect way to kill a brain cells laughing!! C'mon Larry, show us your untapped creative skills. I know it's pretty rough with all the high brow art thus far but I have faith in you my brother!!! I dont have MS paint or anything like it on my computer (Thank goodness). I will post a poll for suggestions. I will mine the poll for email addresses of interested parties as well. Would you like to buy some Viagra? Russian Mail Order Bride? Pickled IceHog3 feet? How about a nice relaxing GUARANTEED way to make money while smoking in the shower? I absolutely love what you've done there. The way the sea is juxtaposed over an azure plain while, obviously, a unicorn has flown over the sceene and crapped out confetti. Brilliant, truly. I do think your asking price is too low. Surely all the rich B&M owners would pay double for a signed copy. 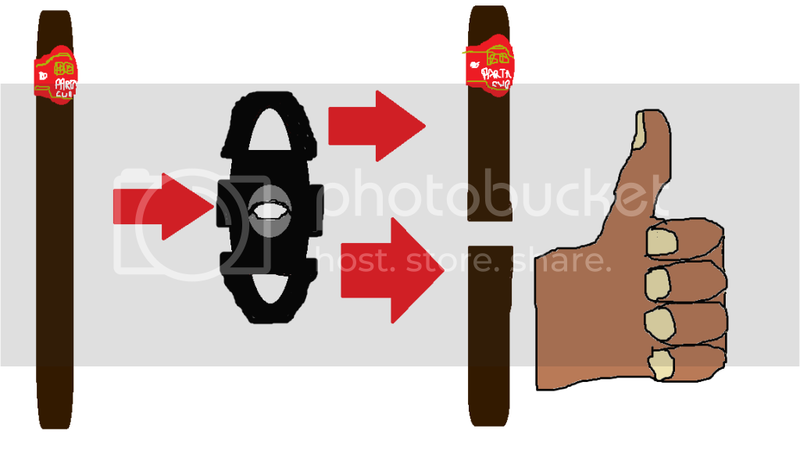 I call it "Love and confusion over Chitty old cigars"
This actually happened tonight. What a way to wind down the week. if you stare at it for 3 hours, you will see a spaceship! This is funny Chit!!!! Nick and Bourbon!!! !